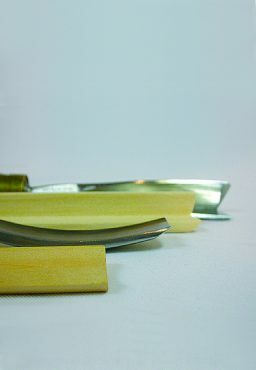 For beginners, sharpening a carving tool usually means one of two things: taking the tool to a professional to sharpen, or risking the expensive tool practicing their sharpening technique. 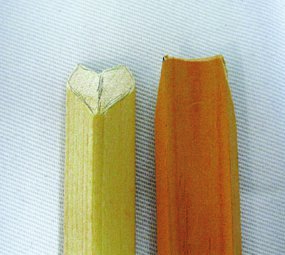 The National Woodcarving School (NWS) developed a method to practice sharpening using wood molding. 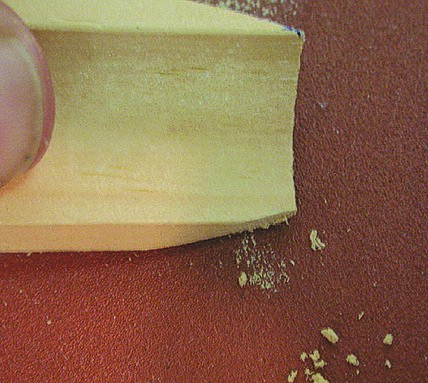 Use inexpensive wood molding to practice your sharpening skills. 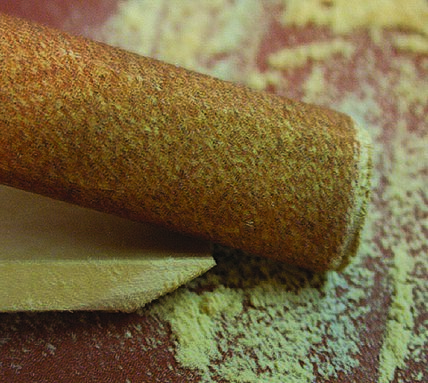 Corner molding works well to practice v tool sharpening, and cove molding can be modified to make a practice profile for gouges. 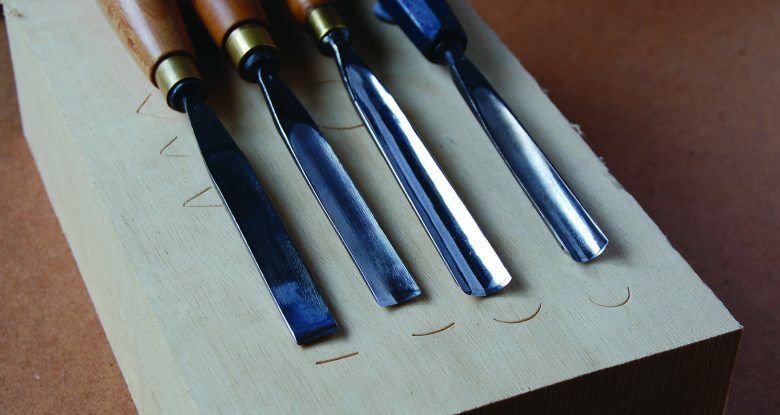 Learning to sharpen gouges can be achieved by following some simple steps. 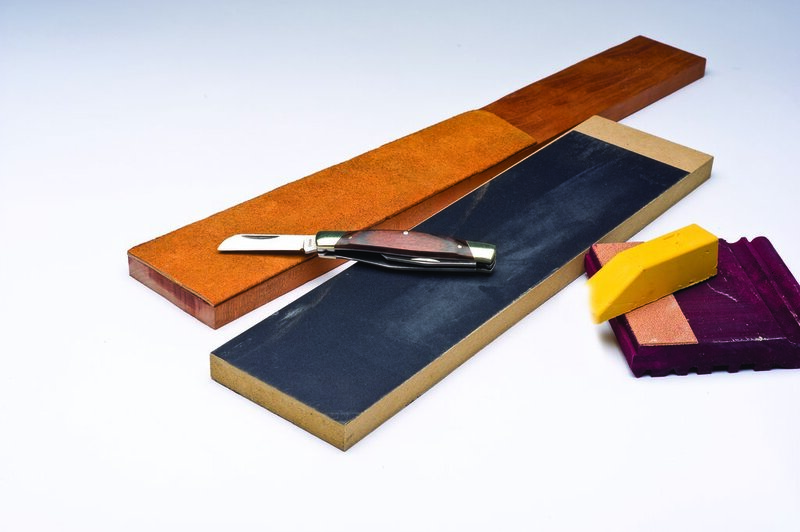 Instead of spending hours trying to get the right angles and a cutting edge on a metal chisel using sharpening stones, practice sharpening using a piece of wood molding and sandpaper. That way, a beginner will see immediate results and can adjust his or her technique. Once a beginner achieves steady results with the wooden models, he or she can move on to the sharpening stones with their own gouges. 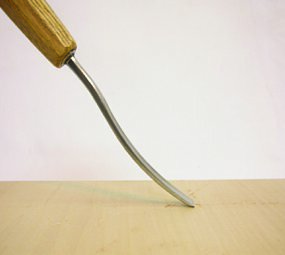 Cutting edge: The cutting edge is located at the tip of the chisel. To obtain a good cutting edge, good tempered steel is required. Tempered steel requires a minimum of .8% carbon content. Sometimes when the gouges are worn down, a heat treatment is required to give the cutting edge a temper so it will hold a cutting edge. 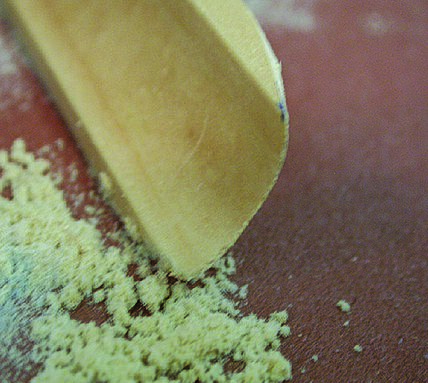 Removing all the back material will bring the gouges to a good cutting edge. 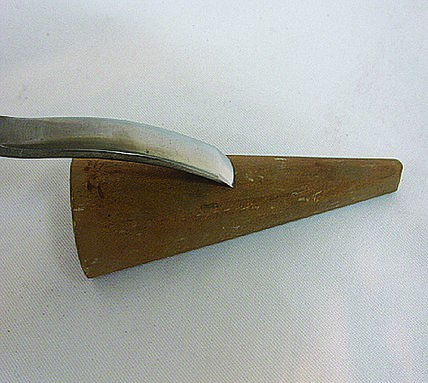 Angle of approach: The draw back determines the angle of approach for the gouge. 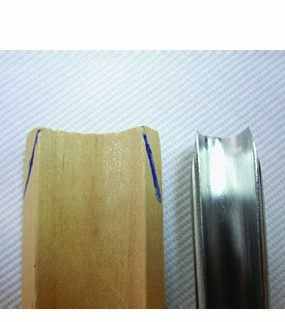 The angle of approach is the angle at which the gouge starts cutting the wood. The angle of approach varies from one individual to another. Determine the angle of approach you would like and after a few tries you will find the angle that best suits your needs. A good general angle is 45°. 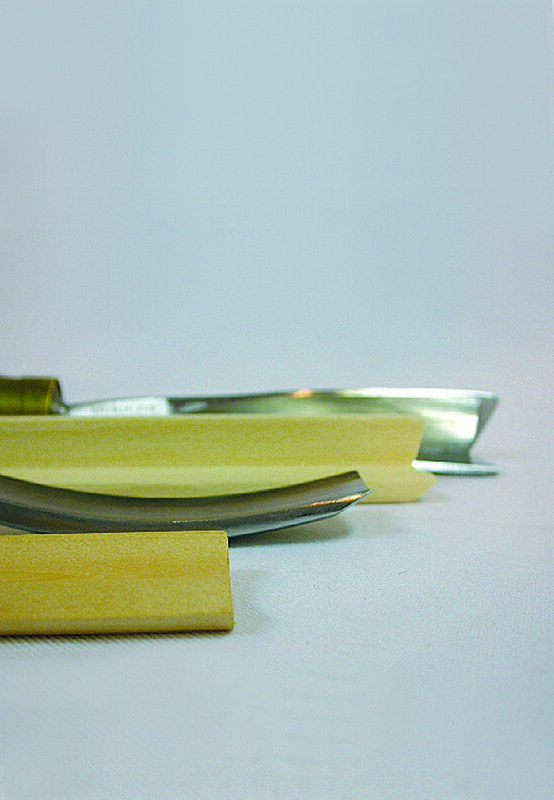 Bent and straight gouges each have different angles of approach. 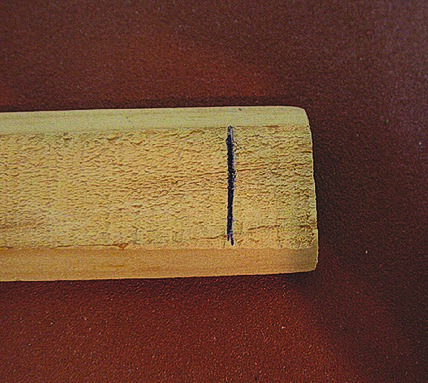 Relief angle: In order to penetrate the wood, the sides—or shoulders—of a gouge are thinned down. These relief angles allow the gouge’s shoulders to penetrate for easy chip removal. Relief angles should be long and even for best penetration. Shaping: Shaping is accomplished by removing the right amount of material so the gouge can penetrate the wood. The first area to shape is the draw back. 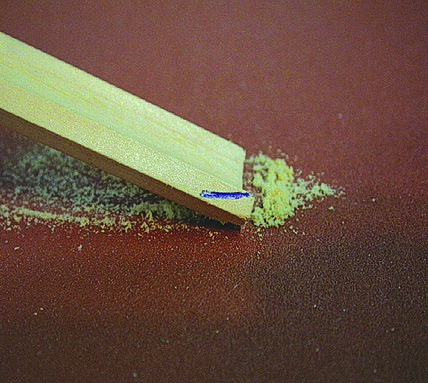 The further the draw back, the easier the gouge can penetrate the wood, but this results in a thin cutting edge and the gouge might break or chip. Sharpening brings the cutting edge to the finest point—when the metal is polished like a mirror. 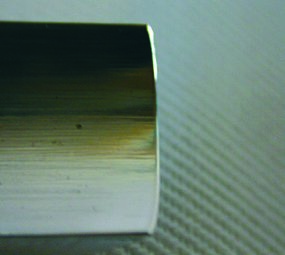 In metallurgy, a mirror finish means the metal grains are in their finest and smallest shape and size. Sharpening from a coarse stone, to an extra fine stone to a buffing wheel will give the gouges their sharpest cutting edge. 1. 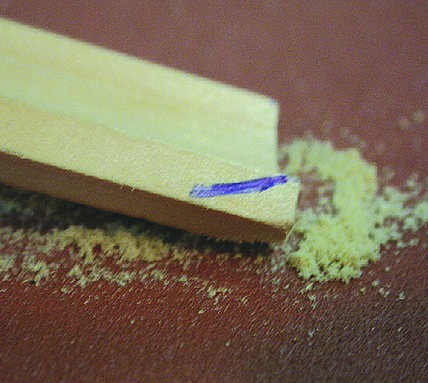 Mark your draw back line approximately 1/2" from the edge of the wood molding. 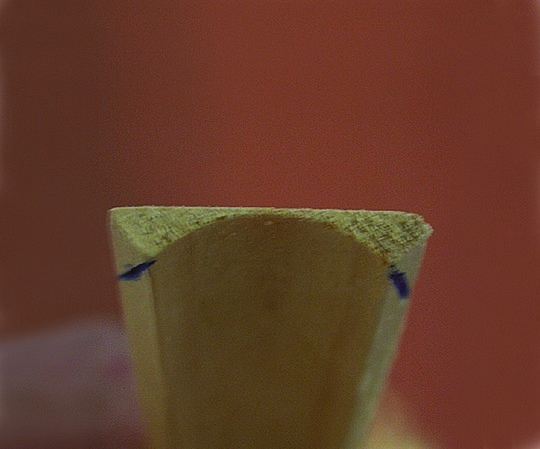 Marking the line further back on the gouge will give you a thinner bevel and a lower angle of approach. Marking the line closer to the edge will give you a thicker bevel and a higher angle of approach. 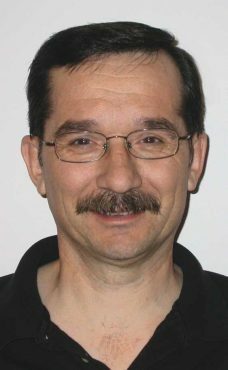 Andre Breau is the CEO of the National Woodcarving School. A long-time carver, Andre started the school as an online carving classroom. 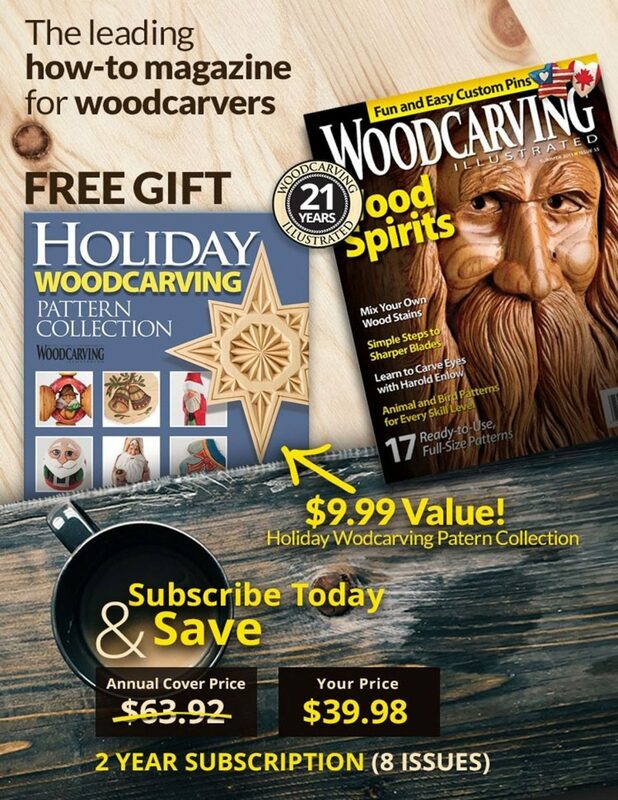 Carving enthusiasts and instructors should visit www.2carve.com to explore the NWS approach to sharpening. 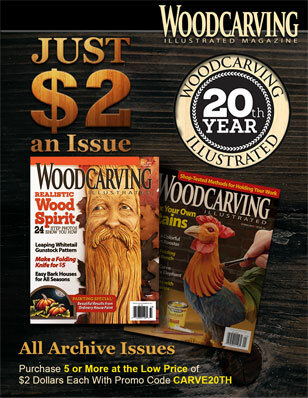 This article was first published in Woodcarving Illustrated Fall 2005 (Issue 32).